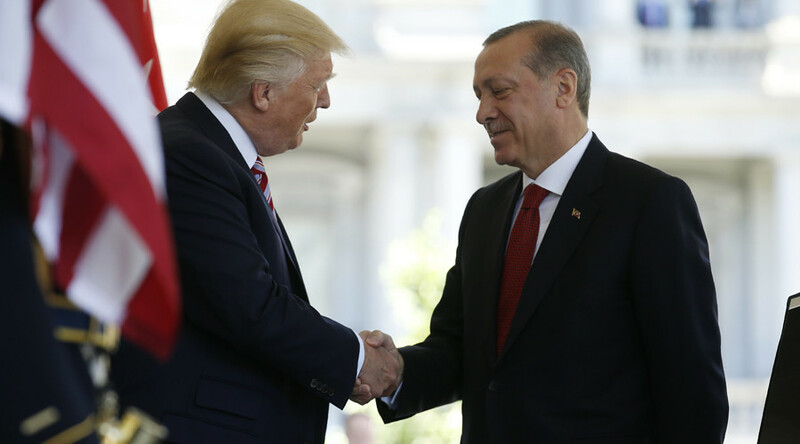 US President Donald Trump’s abilities as a dealmaker are being put to the test this week as he hosts Turkish President Recep Tayyip Erdogan, who brings along a list of grievances over American policies. Erdogan’s visit on Tuesday is his first meeting with Trump since the latter assumed office. The situation in Syria and America’s plan to supply arms to Kurdish fighters there are expected to be high on Erdogan’s list of talking points, although experts don’t believe he would be able to change Trump’s mind on the issue. 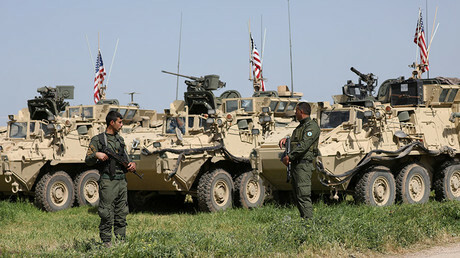 The Trump administration promised to supply small arms, machine guns, armored vehicles and other military hardware to the Kurdish fighters from the People’s Protection Units (YPG). Washington sees the militia as best suited for an eventual siege of Raqqa, the Syrian stronghold of Islamic State (formerly ISIS/ISIL). Ankara perceives the YPG as terrorists allied with the Kurdistan Workers’ Party (PKK), a militant movement that has waged a three-decade guerilla war against the Turkish government. The US agrees with Turkey in designating the PKK as a terrorist organization, but rejects the idea that Kurdish forces in Syria or Iraq should be treated in the same fashion. 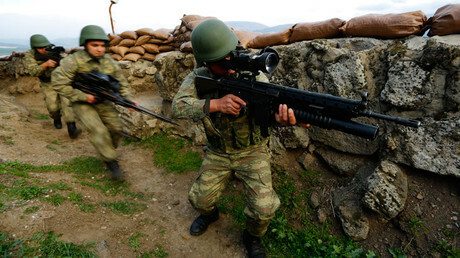 The Turkish government objected to the planned arming of the Kurds, saying they were not necessary to fight IS and hailing Turkey’s own experience in pushing back the jihadists. Ankara sees the Free Syrian Army (FSA), its ally, as well as Arab components of the Kurdish-Arab Syrian Democratic Forces (SDF) as better candidates for receiving any sort of aid. Shortly before his visit, Erdogan blamed “Obama’s men” in the Trump administration for misinforming Trump on the situation in Syria and Iraq. Another major point Erdogan may raise is the extradition of Pennsylvania-based cleric Fethullah Gulen, who is accused by Ankara of fomenting unrest in Turkey for years, culminating in the failed military coup last year. Turkey seeks his extradition, a request that the Obama administration showed little interest in fulfilling. Erdogan may also ask for the release of Reza Zarrab, a Turkish-Iranian businessman, and Mehmet Hakan Atilla, a deputy general manager of the Turkish state-owned Halk Ban. Both are being prosecuted in the US for alleged violations of sanctions against Iran. Trump is likely to bring his own wish-list to the face-to-face meeting with Erdogan. For instance, Washington is seeking the release of Pastor Andrew Brunson and other US citizens caught in Turkey’s post-coup sweep. He may also raise the issue of human rights in Turkey, which, according to critics, have greatly deteriorated over the year. Turkish authorities targeted tens of thousands of people suspected of links to Gulen’s support network, including opposition journalists, police and military officers, judges and members of the academia. The US president is believed to be willing to overlook foreign leader’s questionable human rights record for the sake of striking deals with them. He congratulated Erdogan after his narrow victory in last month’s referendum, which gave his office sweeping new powers, unlike America’s European allies, who criticized the Turkish reform as a slide towards authoritarian rule. However, Trump also has a record of turning such criticism over by going tough on other nations. The decision to attack a Syrian airbase over an alleged chemical weapons attack gave him a popularity boost at home, with even many critics praising the decision.